Louis Pasteur. Portrait of the French chemist and microbiologist Louis Pasteur (1822-1895). 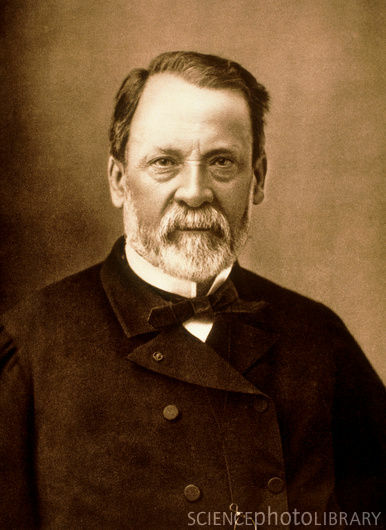 Pasteur is considered the greatest physician of all time and “father” of the germ theory of diseases. He believed that diseases were caused by tiny organisms which were transmitted from individual to individual. In his researches he developed two vaccines: the first against anthrax, a major disease of cattle and the second against rabies. Pasteur also recognised that wine and beer, under gentle heating, could be preserved from souring. This process is now known as pasteurization and widely applied in the food industry.